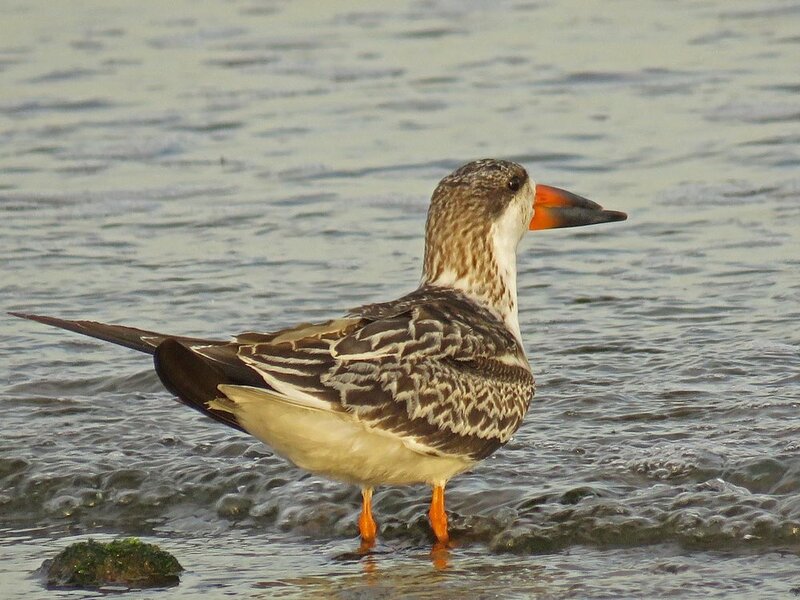 I saw my first black skimmers (Rynchops niger) on October 31 at the beach at Wolfe's Pond on Staten Island. I was mesmerized, and was able to watch them again on November 4. The longer lower bill is fascinating, as the birds use it while skimming the water to pull up small fish. 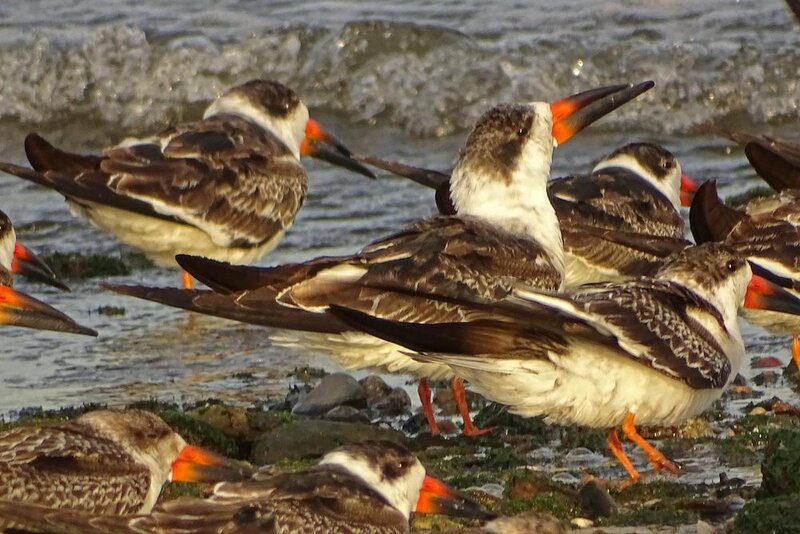 Black skimmers, October 31, 2017. Note the bands on two of the birds. 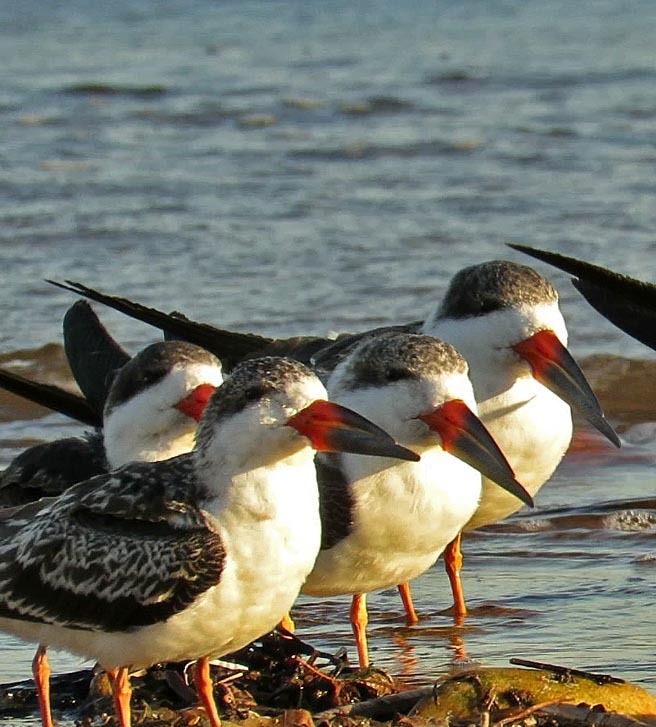 The first Filming the Feathers video is very short, featuring the shorebirds on October 31. The second video, from November 4, is more extensive, with more time spent with these birds flying, skimming and resting on the beach. 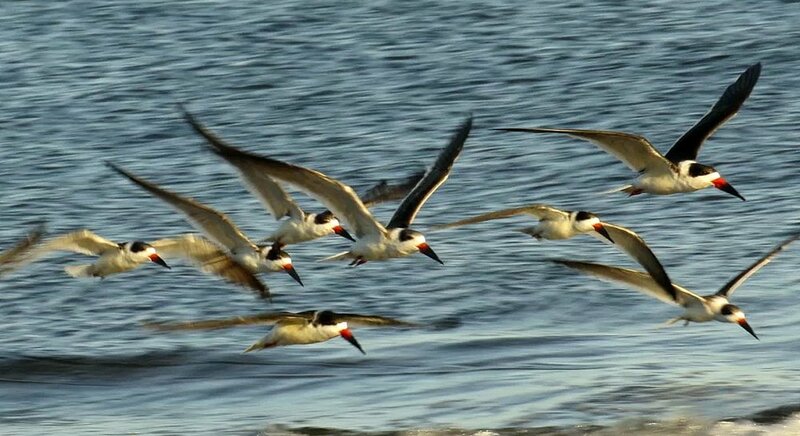 I was particularly taken with how much these birds seem to enjoy the company of other skimmers, and how their flight is so synchronized. 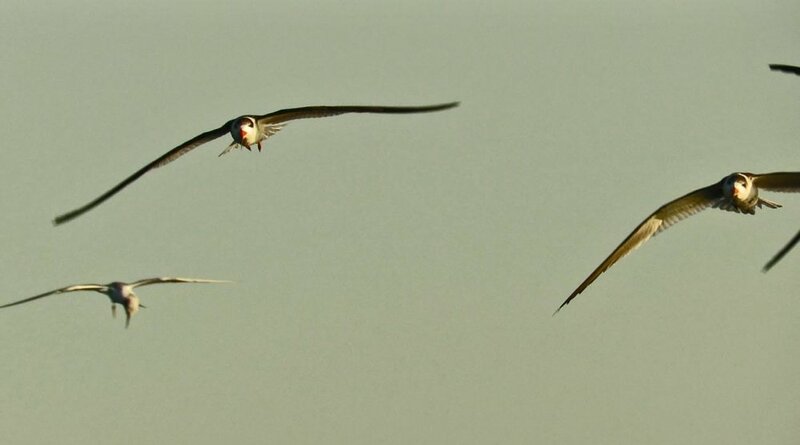 These photos of the skimmers in flight were pulled from the October 31 video. These photos were taken October 31 and November 4.